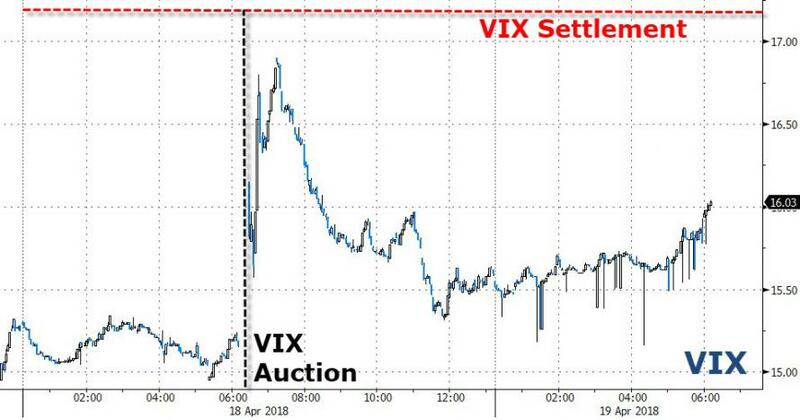 Both the settlement price and the high-water mark for the VIX occurred more than 10 percent above Tuesday’s close — lucky if you were betting on a gain. 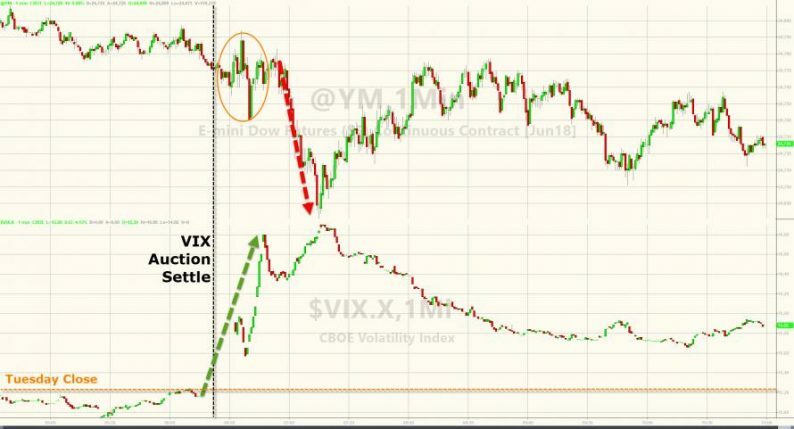 And as VIX was manipulated around the auction, so the option-market ‘tail’ wagged the broad-stock-market ‘dog’ – slamming the S&P down almost 20 points. 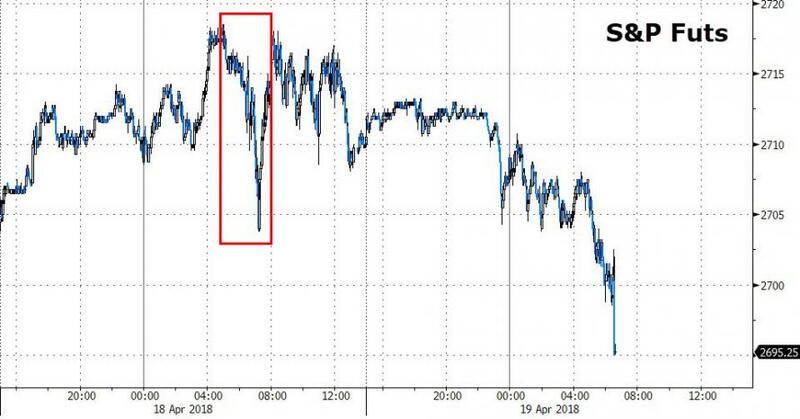 So this settlement spike was very much in favor of all those speculators – after a week of crushing them – how convenient. So just how easy is it to do this? 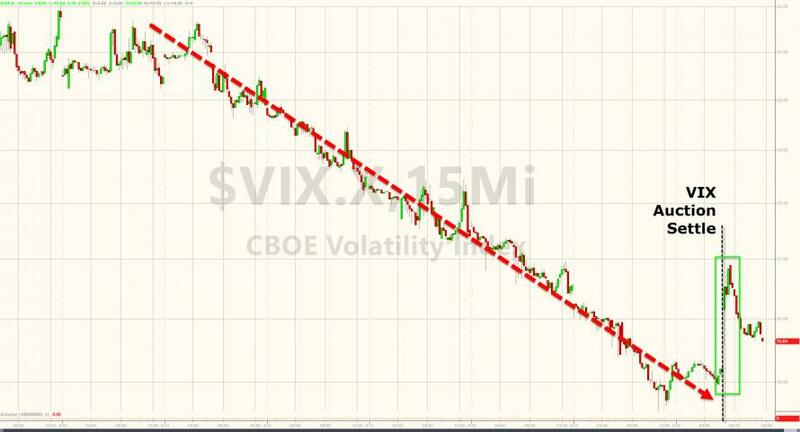 How do ‘traders’ manipulate the options market, thus moving VIX in their favor, to rig stock momentum one way or another? Bloomberg reports that Pravit Chintawongvanich, head of derivatives strategy at Macro Risk Advisors, says the VIX – a gauge of the implied volatility of the S&P 500 Index derived from out-of-the-money options – was ‘gunned‘. That is, it was intentionally pushed higher. A massive bid for protection against a tumble in equities caused the prices of put options to soarin early trading on Wednesday, effectively forcing up the official settlement level for VIX. 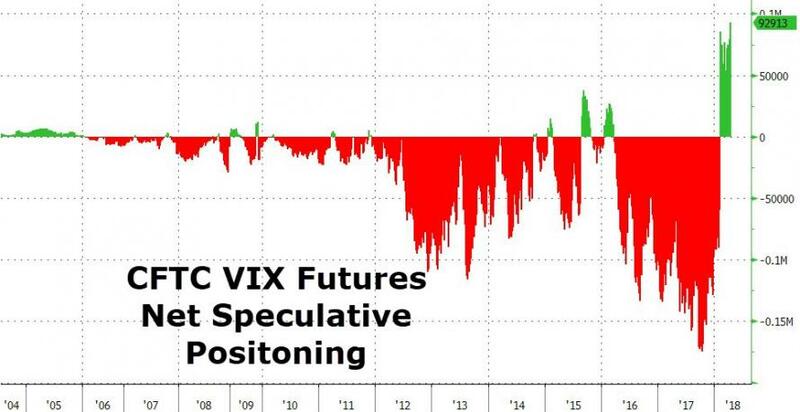 “Around 9:15, suddenly a bid emerged for the extremely far downside options, pushing the early indication [of the VIX] up 1 point,” Chintawongvanich said.